Garage: "Covered, Garage - Attached, Tandem"
NO MUD TAX! MOVE IN READY!!! 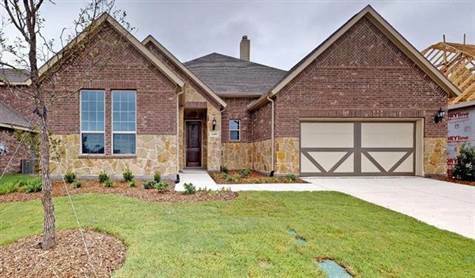 **For open houses and showings, please stop by the model home located at 1621 Cedar Crest Drive to view this home! ** Brand new Gehan home in Gateway Parks! Gorgeous single-story exhibits the Yale plan, offering 2758 sqft of living space spanning 4 bedrooms, 3 full baths, and 2-car garage! This home is perfect for entertaining with its grand open layout and oversized island. Enjoy 12ft ceilings and lots of windows that bring the outdoors in. Upgrades include rich hardwoods throughout main living areas, wood burning family room fireplace, 42in kitchen cabinetry, covered patio area, spacious master retreat with an amazing closet, and oversized secondary bedrooms with walk-in closets!